The 10th edition of the Regional Congress on Health Sciences Information (CRICS10) unravels under the theme “Advancing towards the 2030 Agenda: Contributions of evidence and knowledge”. CRICS10 is held by the Pan American Health Organization/World Health Organization (PAHO/WHO) through the Latin American and Caribbean Center on Health Sciences Information – BIREME, one of the Organization’s Specialized Centers. The Congress presents a program with 25 lecturers, renowned specialists from Brazil, Chile, Peru, Argentina, Colombia, Cuba, Honduras, Ecuador, United States, Canada, Switzerland, Spain, Portugal and United Kingdom. Their presentations will bring reflections from different global contexts, as well as create a space for learning, exchange and socialization among professionals, students and researchers interested in the field of health information and contribution to the Objectives of Agenda 2030. There are three master conferences in the program, which will be given by renowned experts such as Cristina Luna, advisor to the Minister of Public Health of Ecuador, who will present the theme “Agenda 2030 in Latin America and the Caribbean: what connections close the Know-Do gap?”. Amanda J. Wilson, Head of the National Network Coordinating Office, Library Operations at U.S. National Library of Medicine (NLM) will lecture about “The NLM as a platform for biomedical discovery and data-powered health: foundations for Open Science Collaboration”, and Henrique Villa da Costa Ferreira, National Secretary of Social Articulation of the Secretary of Government of the Presidency of the Republic of Brazil with the theme “Agenda 2030 in Brazil: what contributions can science offer?”. The thematic axes of the event will be discussed during seven round tables, creating a forum for discussing knowledge management, open science, information management, innovation and digital health, intersectoral, policies, strategies and informed decisions, research and scientific communication and their applications for improving research, education and health systems. Before CRICS10, the 7th Regional Coordination Meeting of the VHL (VHL7), will be held. It is the main face-to-face forum for discussing, evaluating and sharing experiences about the VHL as a model, a strategy and a framework for cooperative work on scientific information and communication in health. The theme of VHL7 is “Strengthening Collaboration Networks”, and its objective is to promote a broad discussion on initiatives aligned towards the democratization of access, use, publication and visibility of scientific knowledge produced in the countries of Latin America and the Caribbean. In addition to VHL7, the following satellite meetings will take place on December 4th: The use of information technologies for Primary Health Care: experience in the Americas; IV Meeting of RedDes; Meeting of Scientific Editors. On December 7, within the premises of BIREME, the following events will take place: the VII Meeting of the Executive Committee of the VHL Brazil; the Meeting of PAHO/WHO Knowledge Management Focal Points (K-Centers); and the Workshop of OER Network VCPH-BIREME 2018. 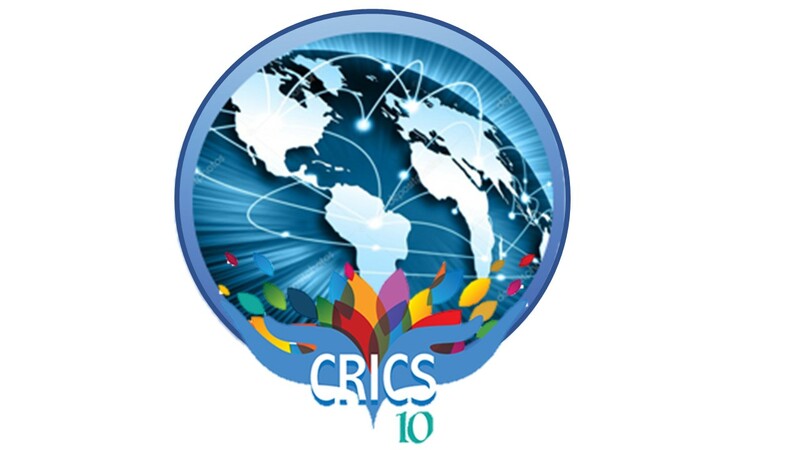 The poster session will also be an important moment for exchanging experiences and research on the thematic axes of CRICS10. Over 150 abstracts were evaluated by the Scientific Committee, considering criteria of quality and scientific relevance, to be presented in electronic format. Information, evidence and knowledge are cross cutting issues to the 2030 Agenda of the Americas, the reason why topic was chosen for CRICS10.